An autopsy on entertainer Michael Jackson has been scheduled for Friday and results are expected by afternoon, according to the Los Angeles, California, coroner’s office. A large crowd gathered outside the hospital, according to video footage. Michael Jackson fans across the world reacted with sadness. Some, including actress Elizabeth Taylor and musician Stevie Wonder, were too distraught to issue statements. 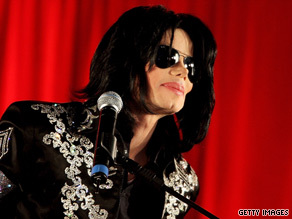 Producer Quincy Jones, who helped Jackson craft his hit albums “Off the Wall” and “Thriller,” said, “I am absolutely devastated at this tragic and unexpected news.” “For Michael to be taken away from us so suddenly at such a young age, I just don’t have the words,” Jones added in a statement. Jackson’s music continues to be heard throughout the world “because he had it all — talent, grace, professionalism and dedication,” Jones said. He called Jackson a consummate entertainer, whose legacy will be felt around the world. “I’ve lost my little brother today and part of my soul has gone with him,” Jones said. Berry Gordy, producer and founder of Motown Records, said Jackson’s death was “like a bad dream.” “As a kid, Michael was always beyond his years. He was an innovator. He was a genius at what he did,” Gordy said. “He had a knowingness about him. At 9 years old, when I first started working with him, he seemed to me like he had been here before. He was just so knowledgeable about life.” Lisa Marie Presley, Jackson’s former wife, said she was “shocked and saddened” by his death. “My heart goes out to his children and his family,” she said. Jackson is survived by his three children, Prince Michael I, Paris and Prince Michael II.